I hate that she isn’t here to see them. I hate that I can’t call her, confide in her, have her encouragement or advice. I miss the feeling of having a member on my team, who knows me well and believes the best in me. I hate that I can’t watch her share the lives of my kids as they grow. Knowing how excited she was when my first was born….. I hate that she never met my second. I hate disease and cancer for what it has taken from me and my friends. I hate that we are in this club of sorts, navigating our lives without one of our biggest influencers. I am grateful for the friends who can identify with the pain, but I wish we never shared membership of this club to begin with. I realize that I am not alone in this club and that I have had more years and memories than some of it’s younger members. It still hurts no matter what age you are, no matter how long you had them in your life. I dislike the word hate but I can’t find another word strong enough for the emotions I feel. If you hate the awkwardness/pain you can sometimes feel observing close mother/daughter relationships….I get it. If you feel mad at the loss of moments you won’t get to share together…I get it. If you fear forgetting her voice, smell, mannerisms……I get it. If certain moments/times of year trigger memories that hit you stronger than others…… I get it. If you have regrets about wasted time with the one you loved….I get it. If you wish you would have spent more time talking about all the questions you can no longer ask……..I get it. If you hate the awkwardness of telling a stranger your loved one has passed away… I get it. If you’re mad at yourself for not taking advantage of “all things domesticated”….I get it. If you wish you would have asked more questions about her hopes, fears, dreams…I get it. If you wish you would have asked more questions about her childhood to give you a closer glimpse of her life…..I get it. If you feel a little lost sometimes…. I get it. If you fear your memories of your loved one are beginning to fade…. I get it. If it feels like the world has moved on when your world paused in her absence….I get it. 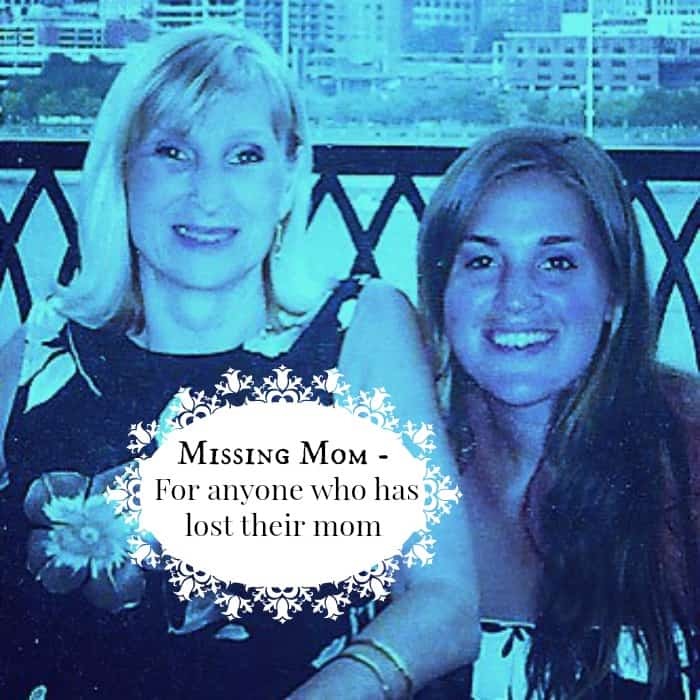 This is not meant to make people who still have their moms in their lives feel guilty or like they should be on eggshells around someone who is missing their mom. My mom and I had a strained relationship in high school but we really grew in friendship once I left for college. (my messy room was no longer a point of contention) While away at school, the distance ironically brought us closer together as we got to share our hearts over phone calls. We communicated our love to each other differently and sometimes that left each of us with hurts. Our misunderstandings showed the way we were wired differently and yet the longer she has been gone, the more things I am finding in common with her. I do understand the ups and downs and complaints about dealing with family members and it does not offend me to hear others venting about their relationships. I guess this is just a reminder of what you already know….To try to love your mom as best as you can while she is still here. 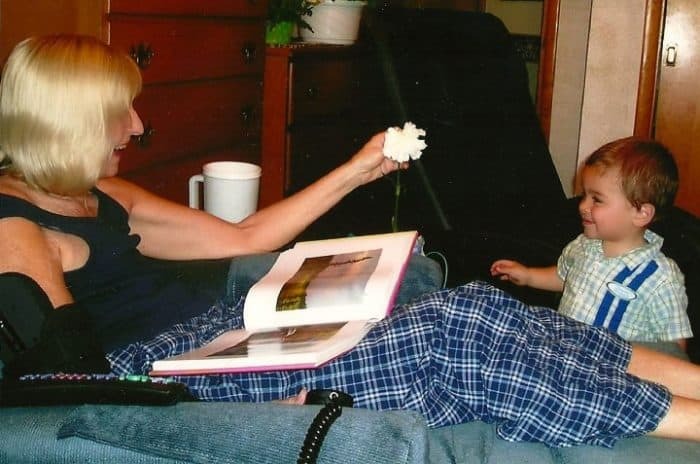 This image was of my mom on her last Mother’s Day. While bound to a chair, cancer filled her body with excruciating pain with each tiny movement. That pain could not stop the bounds of her love for each person who entered the room to visit her..especially her only grandson. 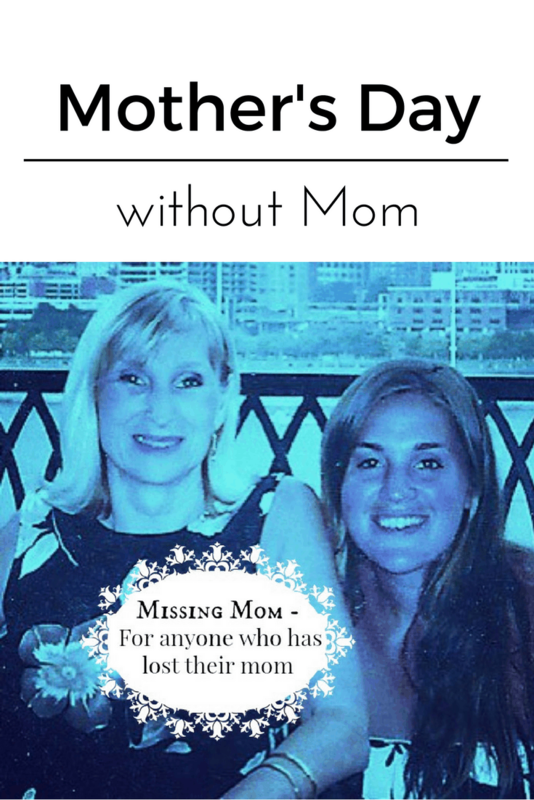 You can feel free to ask us members of the “missing mom club” about our moms. Sometimes it’s nice to share about what they were like, what our favorite things about them were and the ways we try to carry on their legacy. It’s really great when we can remember the funny stories. I know the real way to honor her is to live out her legacy of being a person of faith and love. She gets to spend Mother’s Day with my brother in heaven….. and I look forward to being reunited with them one day too. Happy Mother’s Day Mom! I love you and I miss you so much! What a sweet post about your mom. I love the pictures and the energy you can feel coming from her. I haven’t lost my mother, but my grandmother to cancer. I can see the pain in my mom’s and aunt’s eyes on that day, and understand why my aunt can’t attend a church meeting that day. It’s too painful to be reminded that her mom was taken at such a young age to a horrible disease. We each deal with the pain in our own way, and that’s okay, too. I haven’t lost my mom or my grandmother yet.. but the thought of losing either one of them breaks my heart. The horrible thing is that it can’t be stopped. I wish we had a world without disease. It’s not fair how people are taken away from our lives because of a reason other than old age. If the afterlife and heaven do exist I hope when I lose my parents they will still be with me. Your post was really sweet. I bet your mother is really proud of you. You honor your Mother every day by being the amazing Mother she raised you to be. Just as your Mom made the world a better place by simply being in it– you are doing the same. Her legacy lives on. So beautiful are you because of your mom. Thank you for sharing. I jut lost my mom suddenly on June 16th 2012. I am still numb today and devastated beyond belief. Your article gave me comfort today. Thank you. Thank you for sharing your story, your mom looked so beautiful on her last day, I would have need known if you had not mentioned it. thank you for sharing your story I felt comfort today after reading this. I lost my mom June 16 2012. I am devastated. Gina- I’m so sorry to hear about your mom. It is such a hard experience to go through. I unfortunatley have a few close friends who have also lost their moms at an early age who also understand the pain of losing a mom that I confide in. You and your family will be in my prayers and please feel free to call me (I’ll message it to you) if you ever need someone to vent or talk to. My mom died in 2004 and I still miss her so much. I am sorry for your pain. I lost my Mom/best friend/confidant/shoulder in Sept of this year. The pain we feel is un unexplainable. Thank you for your blog and God bless. I totally agree. I lost my mom while I was 6 months pregnant with my second child. She knew I was having a girl and thrilled that I was adding another girl to her already nine grandchildren. I always had a special bond with my mom and she was my #1 fan. It’s been over 8 years and I’m crying today as the holidays are still tough- especially losing my dad on my birthday almost three years ago now. My mom was the glue that held our family together and now I’ve estranged from my brother and sister and their kids, so I sppend holidays alone and send my daughters to their father to have a family to have the “family holiday meal” and experience I can’t give them. Not only have I lost my mom and bow dad, I feel as though I’ve lost the only two adults that loved and cared about me. I do my best to be strong for my girls, but it’s a daily challenge. I could relate to everything you said. I look forward to joining my mom and dad one day. Nedra, I have no words to express my condolences to you… but your words speak enough. You were a lovely friend, when I needed one the most. Your mother’s spirit lives on in you, and you are undoubtedly a loving, beautiful person inside & out. Happiest Mother’s Day to you lovely. Thanks Chasity! What a sweet quote to share. Your mom was so amazing that it is difficult to begin to try to find the words she would have for you…..but you are such an inspiration to all women, young and old. You have a fire that you share with your mom; they are a different fire but the passion is still the same. You change women’s lives everyday with the things you do, your adventures and your thoughts you share with the world each day with your blog. I am amazed by the woman that I see today; having known you my whole life and knowing your mom you have made her memory live on in the most beautiful way she could have ever asked. I love you and I hope you have an awesome day! We will be at KI if you are around that area. Wow Jamie! Such sweet words. They made me teary eyed. Thank you! I get it too. Thanks for sharing. I lost my mom to a very rare cancer that was in her jawbone. She passed away 12/12/12. 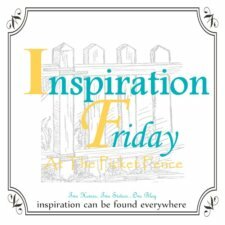 I just read a book by Jenna rose lawthert titled “life goes on” and It really inspired me to share my experience of being a motherless daughter by writing a book or a blog to inspire others that are going through the same thing. I really liked your post, it’s exactly how I feel. Thank you for sharing that. I’m sorry to hear that you lost your mom too. I think it’s great to know that we are not alone in this and I think you will also be able to encourage others by sharing your experience. I understand what comments were made about missing one’s mom. I went through this with myself. My mom passed away in 2004. There is not a say which goes by i do not think of her and all the good advice she gave me as I was growing up and after I was a adult. Like she said “my words will ring in your ears in years to come”. They sure have. She was young at heart and loved to get together with family and most of all her children and grandchildren. She had her ups and downs like everyone else but always remained optimistic. I am always happy to see mother and daughter/son enjoying a day out together. Like someone said in their comment, enjoy your mom while she is alive and able to get up and go out. They appreciate it so much. My comments, ditto for my mother-in-law and aunts. Hi, I found this thru the years as I am grieving also. Thank you for writing it. All that you’ve said is true. Your words are beautifully written. My mother has been gone 21 years (cancer) I was 19 when she passed and have lived my entire adult life without her. Life is hard without her and I need her is much. I need her right now. Thank you for sharing. Thank you for sharing Nikki! I’m so sorry that you also lost your mom. I wish our moms were here too! Renee, I’m so sorry that you are also in the “club” and it really means so much to me that you shared this. Hugs to you as you continue in the journey. Thank you for sharing your story. I’m so sorry that you have also experienced losing your mom too. I have hope that I will one day see her again because of my faith and I understand the pain of missing your mom. It’s even harder around the holidays because I wish she was here with us too. That is exactly where I’ve been feeling for the past 2 years. I was 16 when she passed away. That happen all of a sudden in sleep. And even since then my life seriously paused. The real me is gone .